I was a student at UC Santa Barbara when Ralph and his band did a concert there in 1968. My friend Steve Keith and I were on the front row. After the show I asked Ralph where I could learn to play clawhammer banjo in the style he learned from his mother. folks still play that style.” Steve and I left the next summer and traveled through the Appalachian mountains and fell in love with the music and the people. Steve was already a good clawhammer player and, when he brought out the banjo, folks just opened up their homes to us. The banjo has been a magic key for me. 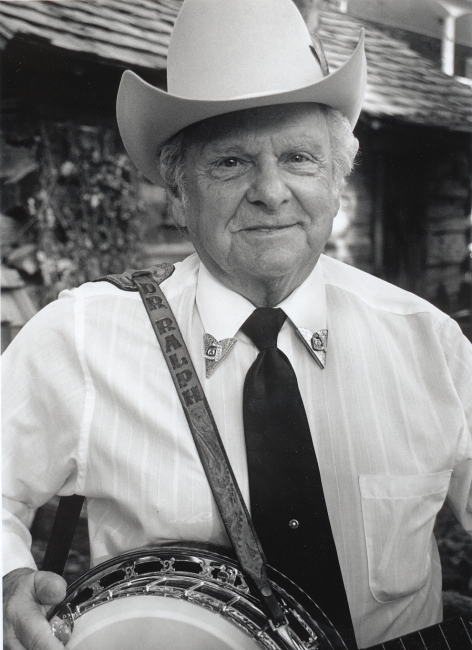 I have never lost a passion for it from that first concert by Ralph Stanley right up to today. I consider Ralph a friend now. 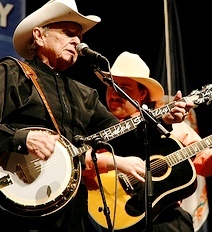 We have performed on many stages together and I never fail to thank him for inspiring me in 1969 to head back to the Blue Ridge Mountains to look for old-time banjo players.